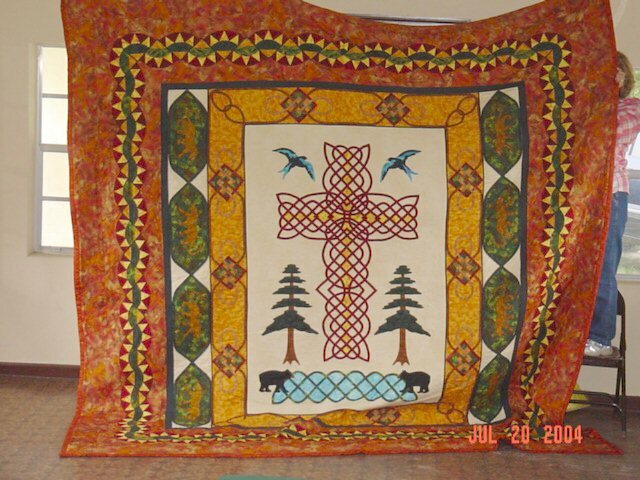 An original design front of king size quilt made for my son. 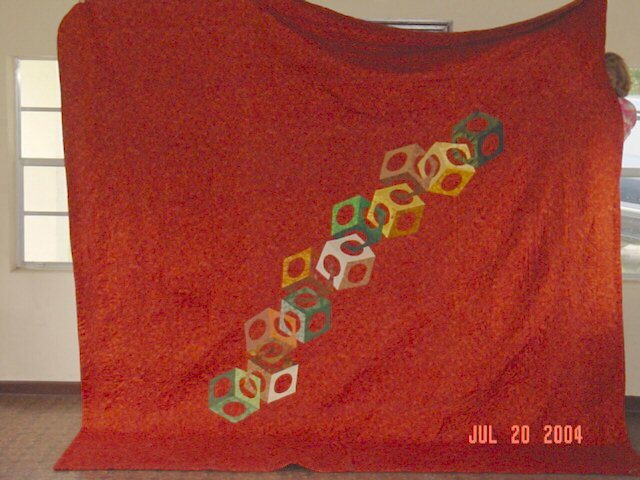 Below is the back. 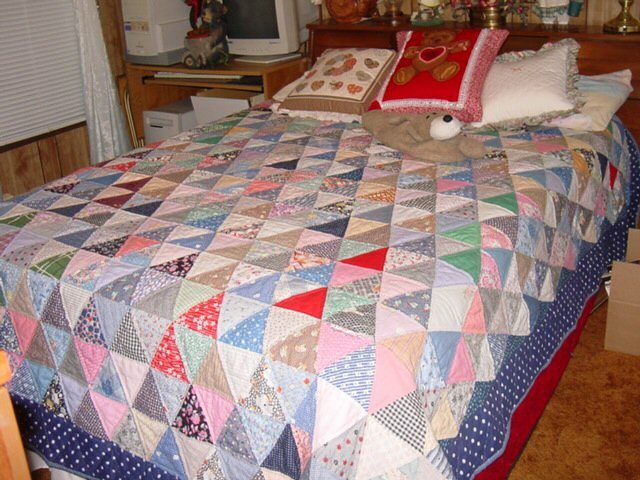 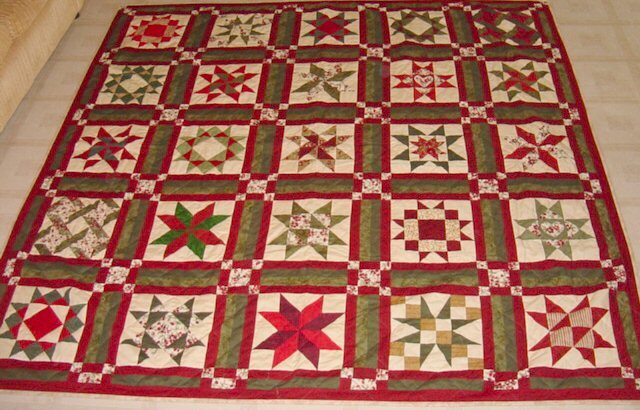 of this same quilt. 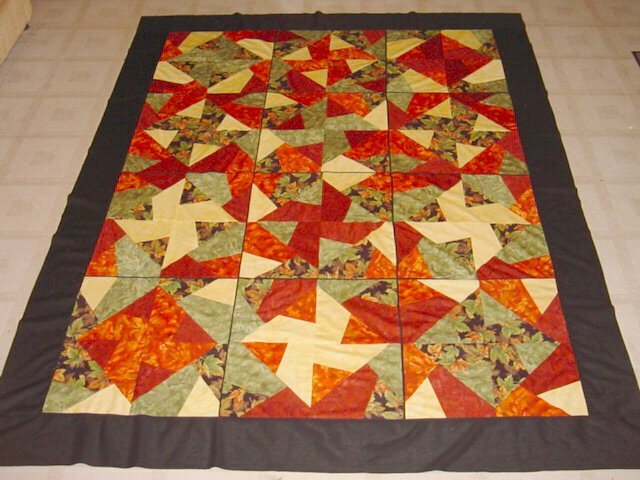 Pre-quilting quilt top made for my husband. 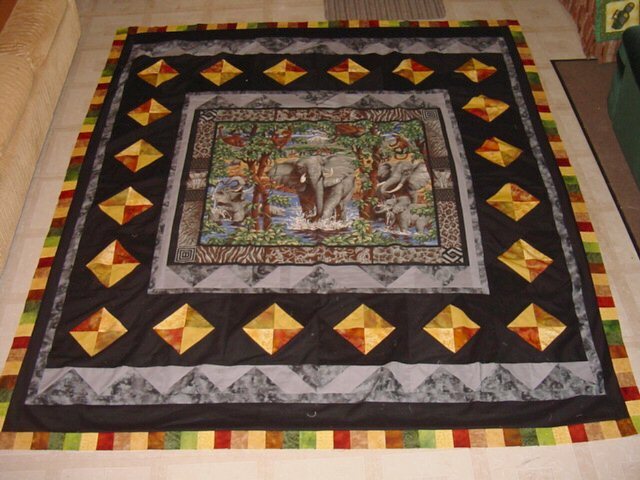 The elephant center panel was preprinted. 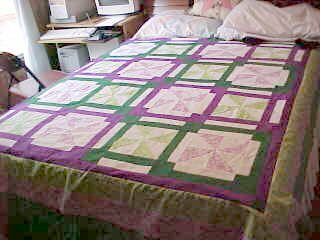 Pre-quilting pinwheel quilt top made for my neice Meghan. 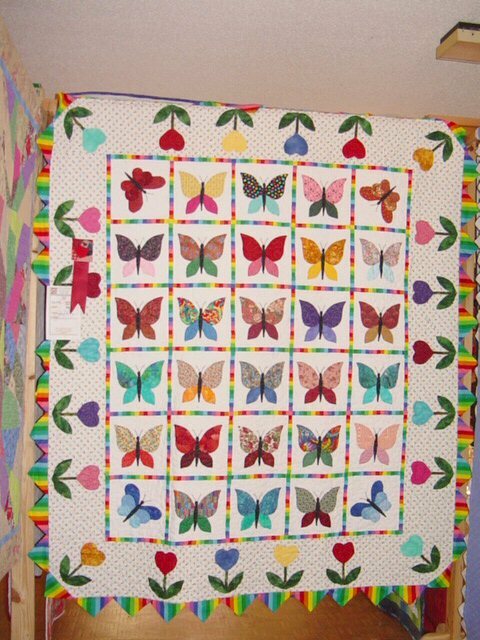 This butterfly quilt won 2nd place in it's category at the Stephen Foster Quilt Show 2004. 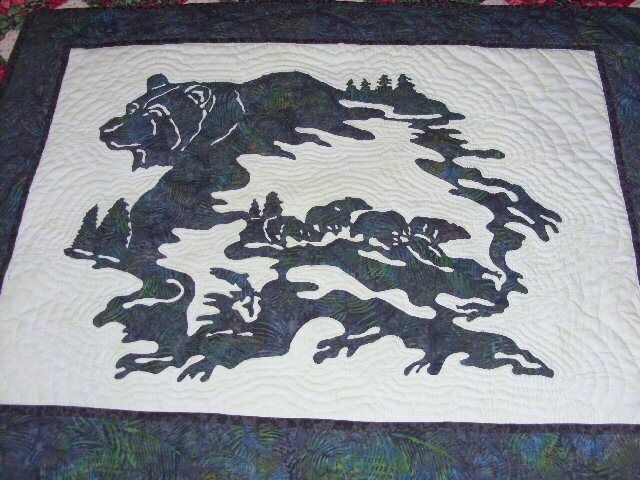 Pre-quilting quilt top made for my brother in a crazy patch design. 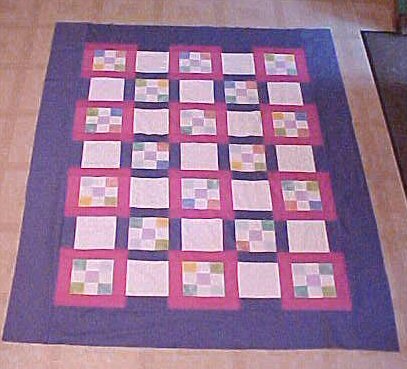 "Tiles" quilt top (before quilting) made for my neice Treva. 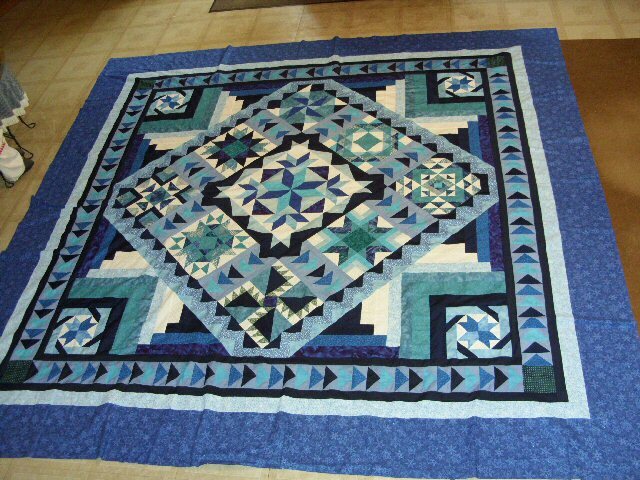 This quilt was pieced by my husband's mother years ago and recently rediscovered. 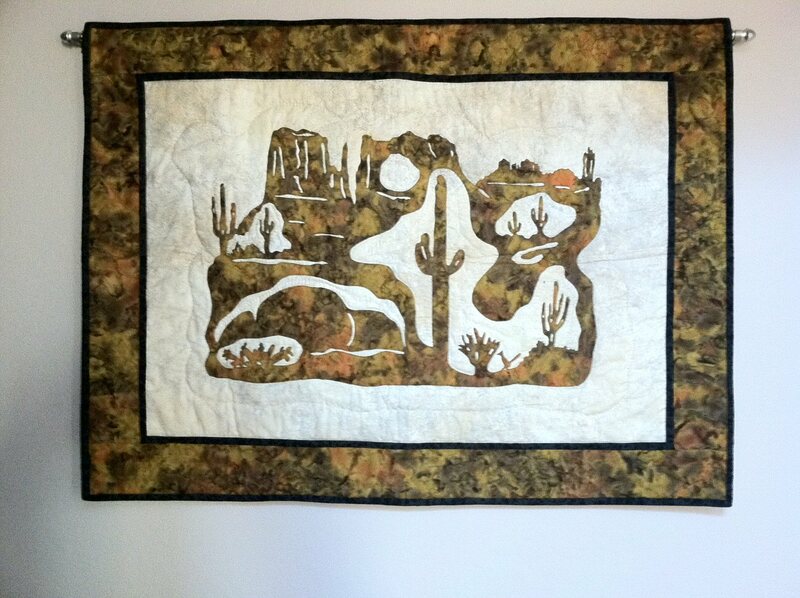 I bordered, sandwiched and quilted it. 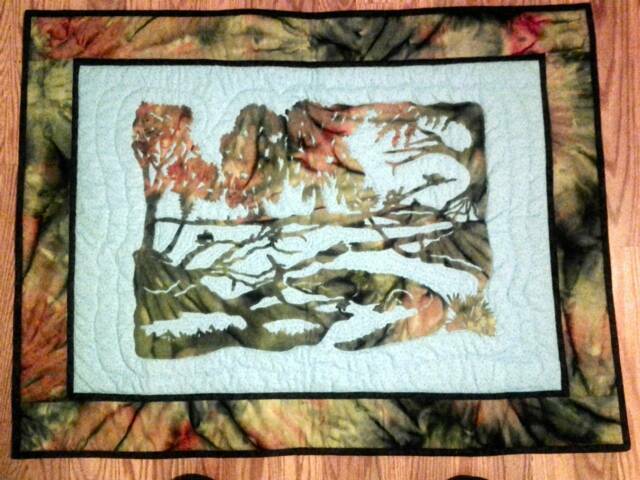 This is Peggy's king size ("Tonga Nature" pattern) quilt before it went to be machine quilted. 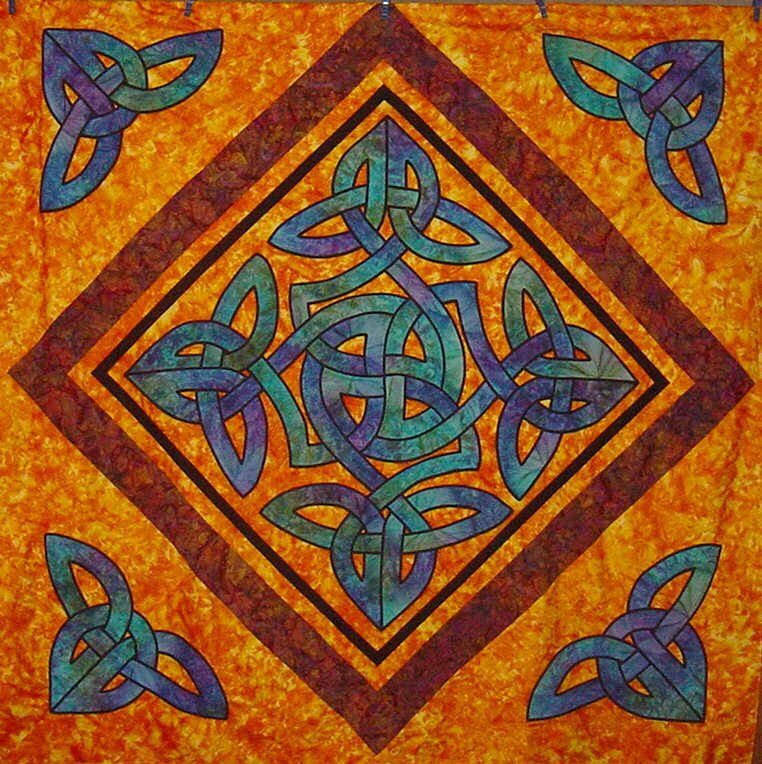 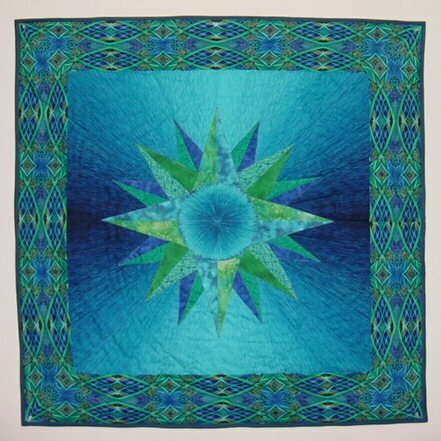 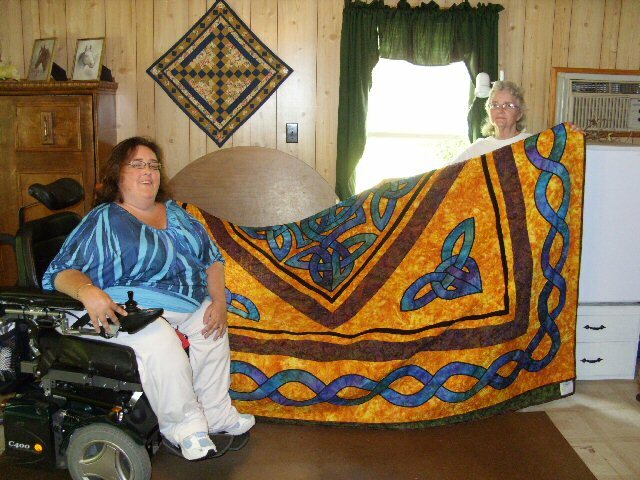 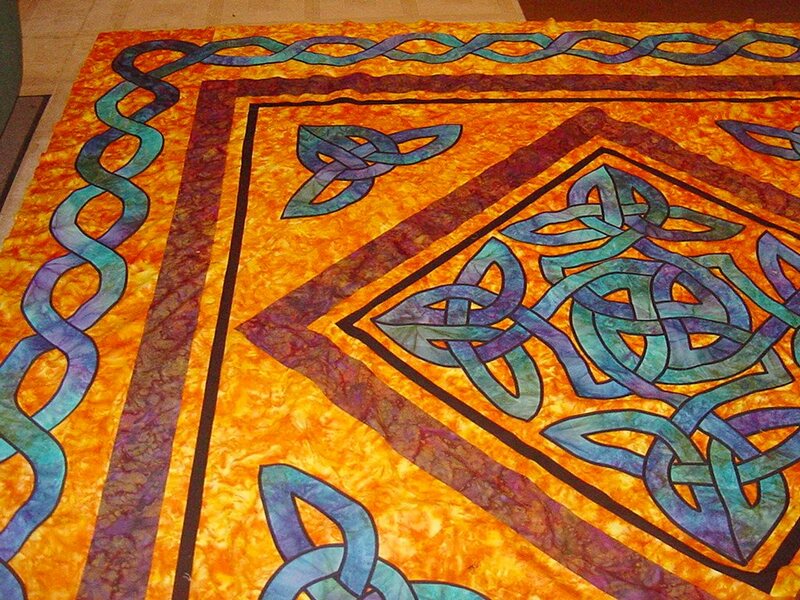 This is Peggy's Celtic quilt. 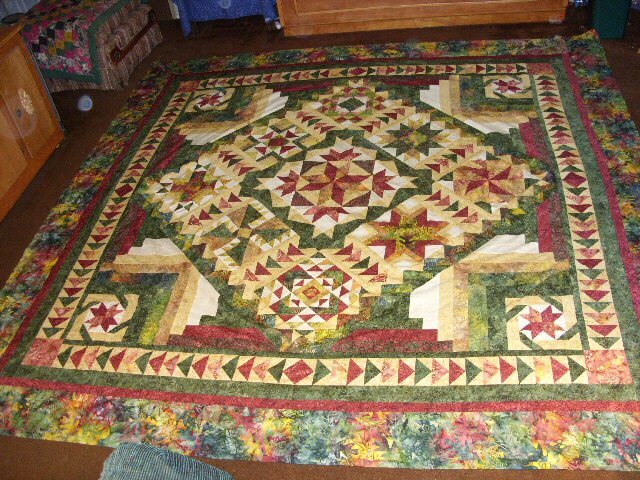 Other views below.